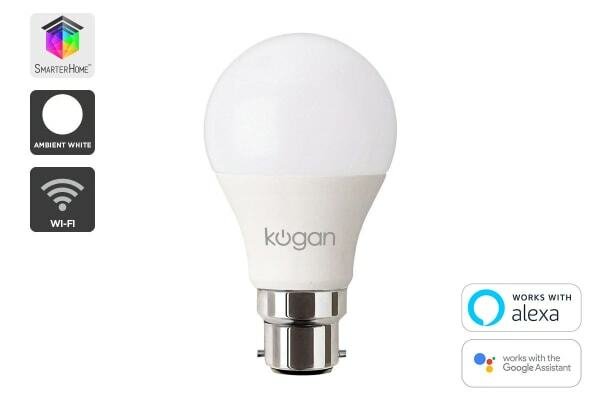 Control your lights remotely from anywhere in the world with these innovative and affordable smart bulbs. Don’t bin your old lamps in a quest for a smarter home. It’s easy to light your home up smartly with the Kogan SmarterHome™ Smart Plug with Energy Meter. When you plug your smart bulb into your existing lights, they instantly become smart lights, with added home security benefits thanks to the adjustable timer. You can schedule the lights to come on at pre-set times, so the lights are on when you get home and turned off at bedtime. Dim the adjustable LED bulb to your ideal brightness or choose one of the preset scene modes to create the perfect ambience for any time of year. 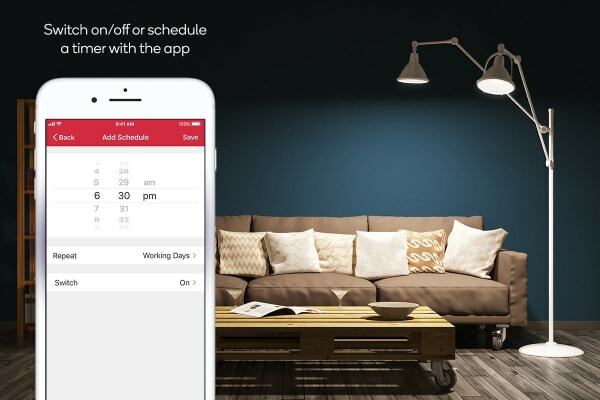 Set up a schedule or timer on the SmarterHome app to minimise energy consumption (and save precious $$$) when you’re not home. Forget to turn something off before you left? Simply check on the app and switch it off from wherever you are. 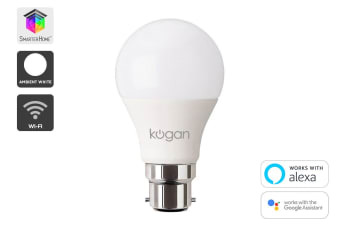 Connect the Kogan SmarterHome™ 10W White Smart Bulb to your home Wi-Fi network and control it remotely via the free Kogan SmarterHome app. Say goodbye to app clutter. With just a single app, you can manage your favourite smart devices and use the smart assistants that you know and love, including Amazon Alexa or Google Assistant, so you can control your smart plugs with your voice. 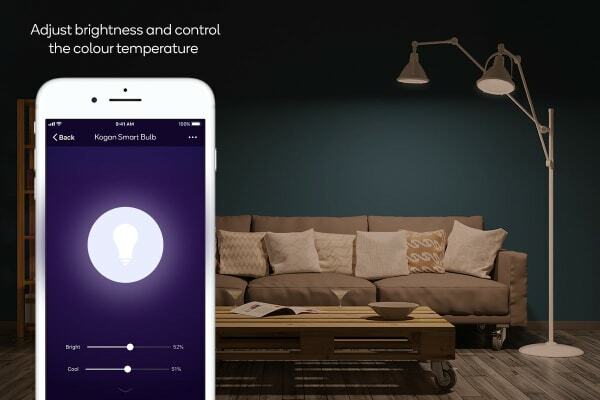 Using the Kogan SmarterHome™ app, light up your room with the perfect level of brightness using the app's adjustable dimmer.